It is time for delicious Christmas cookies to warm your heart. 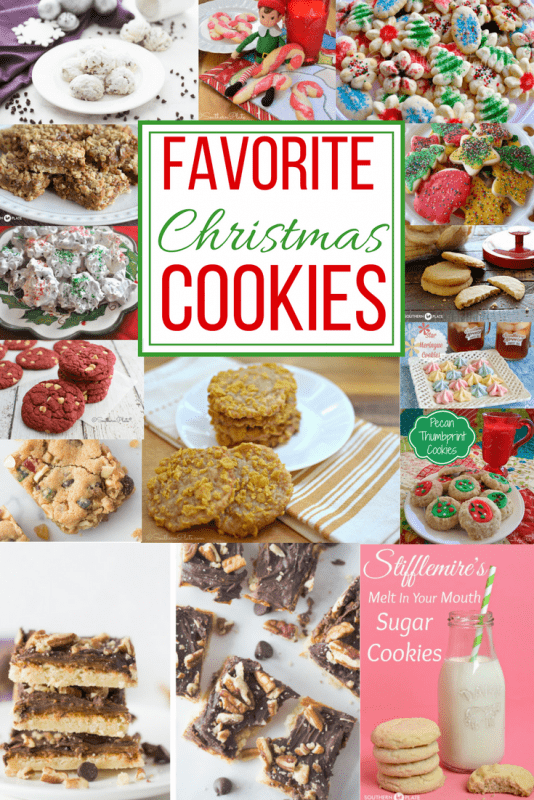 I have created a list of my favorite Christmas cookie recipes to share with you all today. These are great for gifting your family for the holidays, sharing with friends and co-workers, or just to to brighten someone’s day. Of course, you can always just make them to treat yourself to something extra sweet this Christmas! Making these cookies is a family tradition each year. It is something I have always had such a love in my heart to do. My son was only six months old the first Christmas, and he didn’t fully know what was going on, but I just couldn’t wait to share that special moment with him! When our whole family gets together we enjoy the holiday tradition! These are such a light and refreshing cookie, that will literally disappear in no time because everyone will be reaching for another one. My mom made these a lot for me, and I love making them still to this day. One of my favorites. 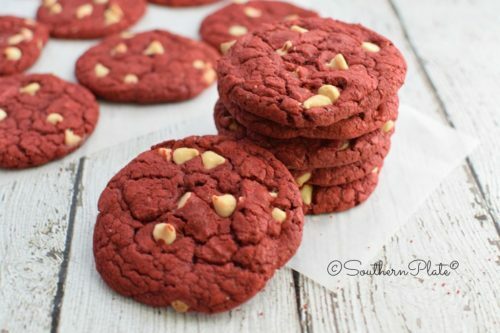 These red velvet cookies are so simple to make, it is a must for me during the holidays. Life gets hectic and I don’t always have time to get things done that I need to, so having quick and easy recipes to throw into the mix is a must. These are a decadent cookie, that will warm anyone’s heart! I can’t decide which I love bet, the wonderful bite-size of these cookies, or the fun decorated shapes. 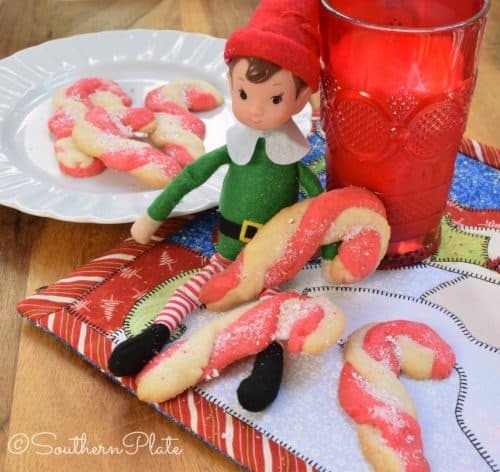 Either way, these are a must make cookie each and every year. They are such a classic I just can’t forget them! 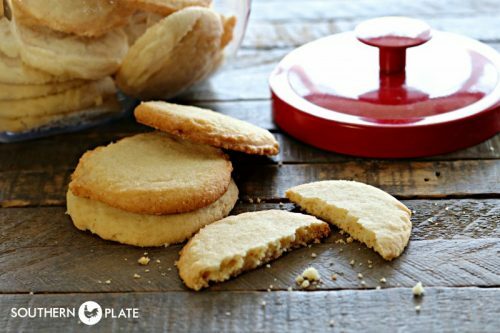 Grab any sprinkles you have and your cookie press, and in no time you can have the dough ready and begin baking. Boy are these cookie bars so EASY to make it is a no-brainer to add them to your holiday recipe list! Anything that has the world turtle in it, you will find me saying yes too! 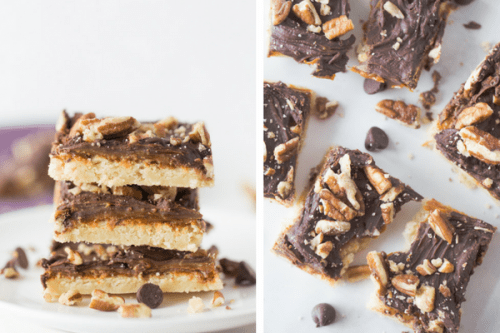 The flavors of this cookie bar are so decadent. A meringue cookie with a twist of added chocolate chips. I love the light and fluffy texture these cookies have. With the bit of crunch on the outside only to be so light and airy on the inside. Don’t think that meringue cookies are tough, they are so easy to make and really are stunning for presentation. If you raid through your pantry you might have all the ingredients on hand. These are so simple to whip up and truly are an easy dessert. 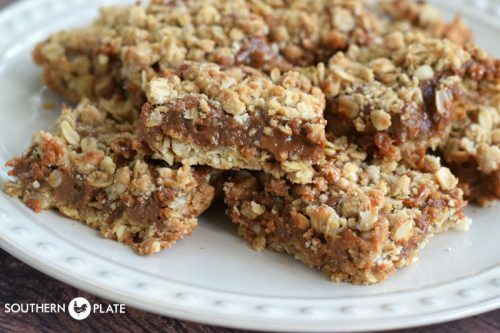 I love the hearty oats paired with the creamy caramel, a chewy and scrumptious bar. 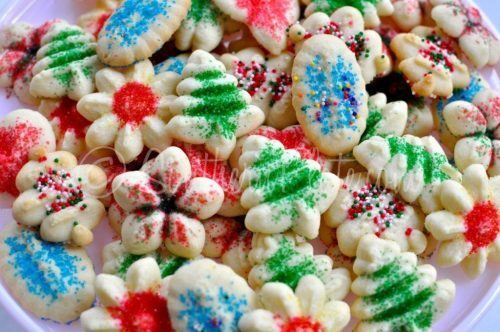 These cookies are so delicious and when I think about how my mom made them, it always makes me smile and giggle a little. You have to go read the post to see what is so funny about how my mom crushed the peppermint! A tea cake is a simple cookie that is flavored if you haven’t heard of them before. 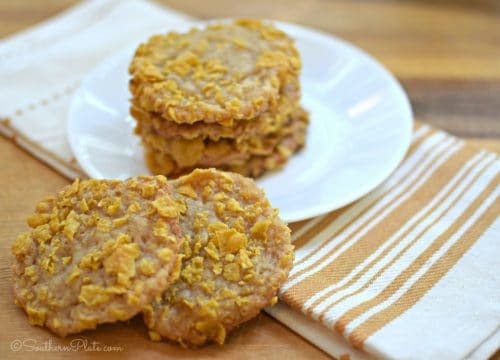 They are such a light and refreshing cookie to serve your guests. Whether you love your morning cup of coffee or hot cocoa, dip this cookie for a special treat. 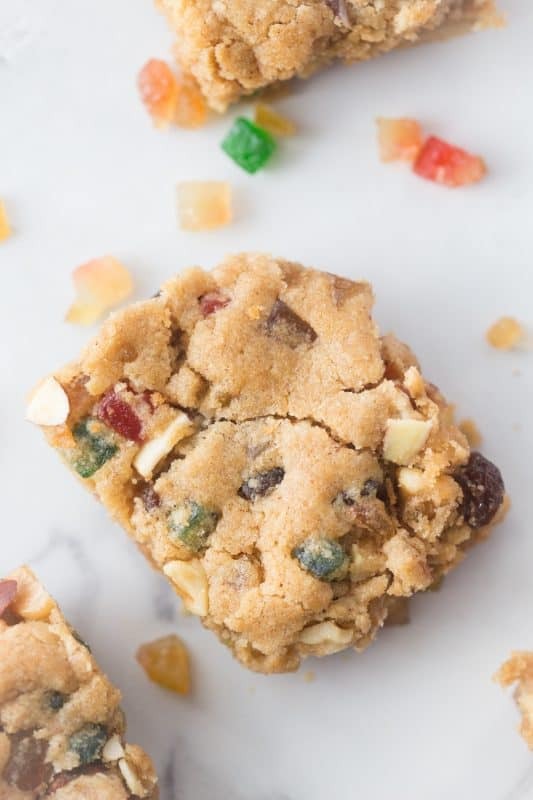 These fruitcake bar cookies are not a traditional fruitcake style. They are a moist, perfectly spiced fruit-studded bar. They are a new and improved version of the classic fruitcake. Trust me, these are delicious. 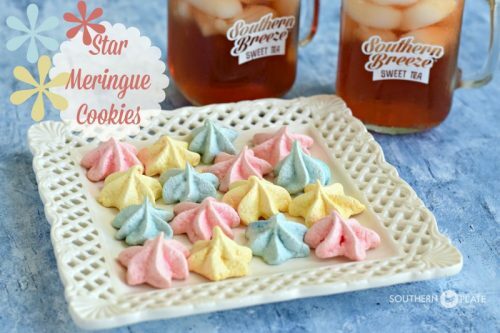 These aren’t your everyday sugar cookie, they are extra special! 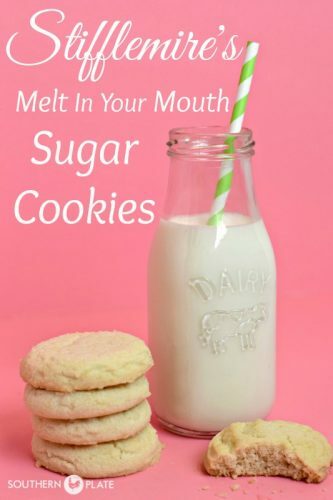 Melt in your mouth sugar cookies that will knock your socks off. They are similar to a pecan cookie, but without the pecans, and a really delicate and light crumble to them. Have extra copies of the recipe printed out because folks are gonna want it! 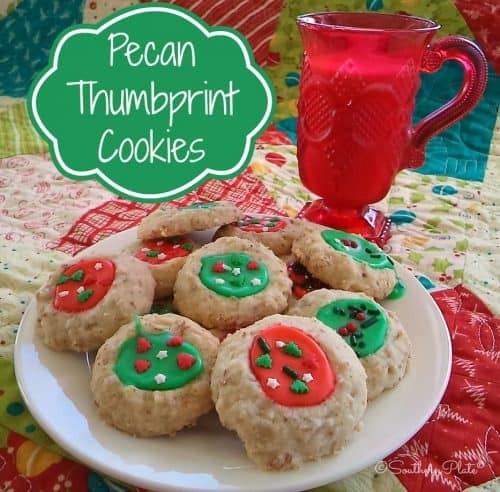 These pecan thumbprint cookies are so festive, and one of my mom’s favorite cookies. Little bits of pecans are throughout the cookie giving you a nutty and light tasting cookie. The dollop of frosting and sprinkles in the center add the perfect amound of sweetness. These cookies were kind of a whoops when I tried tweaking an old family recipe, but the outcome was a winner. Now I still enjoy making these today, and the family loves them! These little gems are so fun to make, and truly make adorable cookies. 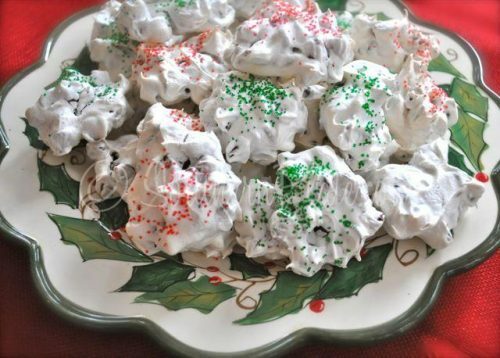 These meringue cookies truly melt in your mouth, and you can whip them up pretty fast! They take longer to bake than they do make, which is so nice. 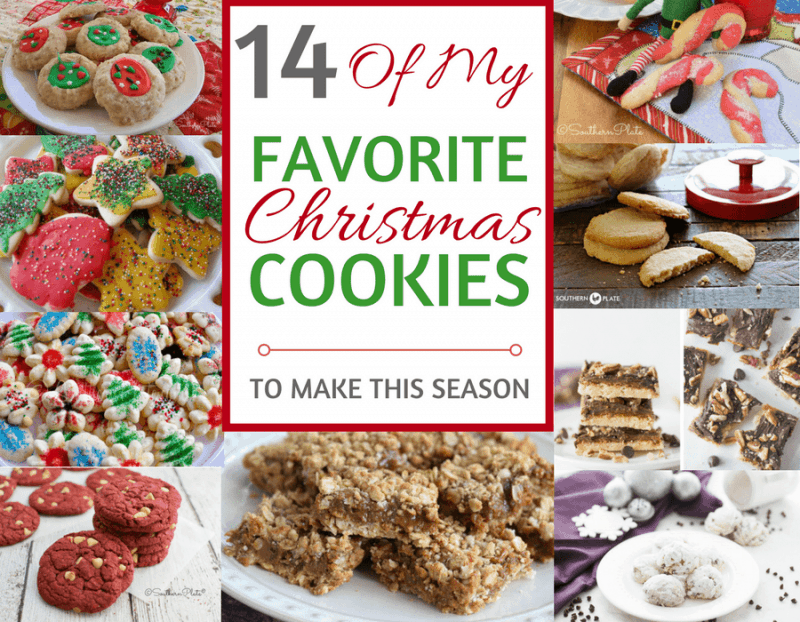 Make sure to Pin this for later, so you have all these delicious cookies in one spot! Can’t find one of your recipes I had printed out. Think it was called Alabama Pecan Bars. Could you print it again? I enjoy everything about your site not only all the amazing recipes you share. Thank you Debbie, I hope you had a Merry Christmas and are looking forward to a Blessed New Year! Hi Christy. I am the temporary Factory Office Coordinator for American Crystal Sugar in East Grand Forks, MN. During my stint here it is my responsibility to create our annual holiday card. 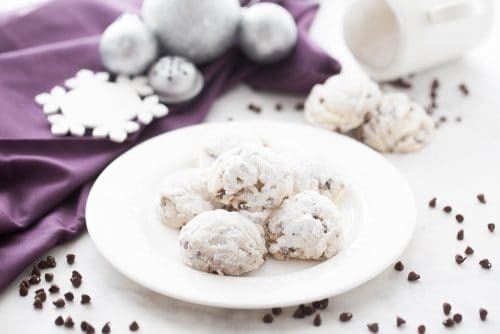 All of the cards previously have been traditional – Christmas trees, snowflakes, reindeer, etc and I got to thinking – a plate of ‘sugared’ cookies would be perfect! 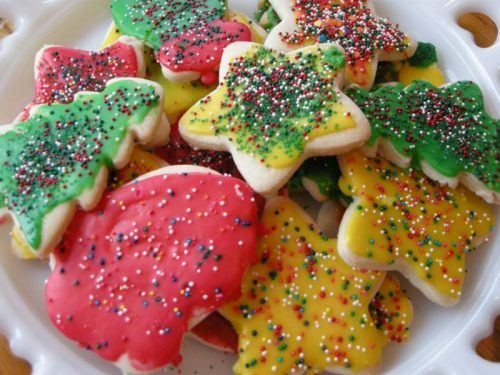 I’ve been searching the internet and I came across your beautiful and colorful photo of Spritz cookies. I am writing to ask permission to use your photo. It is perfect and the best I’ve seen. Thank you for your consideration. Kind regards, Daphne Jones. Thank you so much Daphne, I sent you an e-mail. Thank you for all your recipes. God bless you and yours. Thank you Debbie, blessings to you and yours as well!! I remember seeing a recipe of regular microwave fudge, not the ones that you have posted in the past week. I was soooooooo hoping to make a huge triple batch of this fudge this weekend for my Christmas Eve dinner, but I can’t find the recipe anywhere in your archives. Can you please forward it to me? I know you’e going crazy right now and have a million other people asking you questions, but I would sooo appreciate it! P.S. 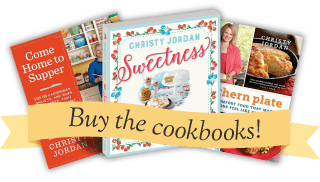 Love all of your food as the entire maternal side of my family is from Georgia and South Carolina and have been taught to cook in the Southern tradition! Hey sister! I’m happy to help and appreciate you being here! I have three recipes but you can use whatever flavors you want to make whatever flavor you want. My favorite is semi sweet chips and cream cheese icing for a great chocolate.